Cargill may not mean a great deal to most of us. But it should. Just as Monsanto has a growing stranglehold over the seeds and chemicals used for growing our food, so Cargill looms large at the other end of the global food business conveyor belt. In fact Cargill’s tentacles spread much further than that. Its other major interests include energy, steel, transport, financial risk management, animal feed, industrial alcohol and processed food ingredients such as glucose syrups, starches, vegetable oils and fats. Cargill is also the principal supplier of eggs and meat products to the global fast food giant McDonalds. Cargill is in fact one of the world’s biggest privately owned companies. Last year it recorded an annual turnover of over $136 billion. On these figures, if Cargill was a country it would be the 55th richest in the world. It is the world’s largest trader of grains and palm oil, and its activities touch on almost every aspect of our food supply, as its own brochures are all too keen to point out to us. Alongside other global giants such as Monsanto and Nestle, it is one of a handful of firms who now dominate international agricultural and food markets from the seeds used to grow the food, to the land it is grown on, the chemicals used in growing it, through to its processing, transport and ultimate sale to the consumer. Considering its enormous scale of operations and influence, Cargill has been remarkably successful in keeping out of the public eye. Yes, scratch a little under the surface and, just as with Monsanto, there is serious cause for concern in the way Cargill does its business. Despite its brochure’s claim to provide the consumer with “healthy and safe” chicken, Cargill has been at the centre of several major health scares involving contaminated turkey meat and beef products and one involving contaminated seeds. It has also been accused of using forced child slavery from Mali in its Ivory Coast cocoa plantations, turning a blind eye to human rights abuses and worker exploitation in its cotton interests in Uzbekistan, deforestation of the Amazon rainforest (in order to grow soya beans destined for animal feed) and destruction of rainforest in Sumatra (to make way for the growing and processing of palm oil). Just for good measure the company, a GM foods producer and enthusiast, has recently joined Monsanto in bankrolling a campaign against proposals for the compulsory labelling of GM foodstuffs in the USA. This is hardly surprising since the two companies have a 50/50 stake in a joint venture – Renessen – which manufactures and markets genetically modified animal feed. Let’s turn to a recipe. On my allotment plot, the Circus Garden, it’s approaching the time of year to batten down the hatches as the wet and cold weather of late autumn arrives. All of my potatoes have now been harvested and stored. 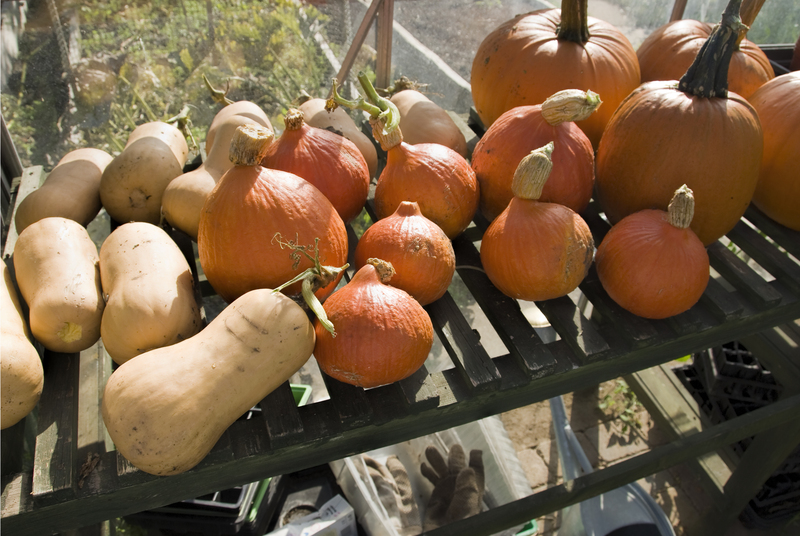 My winter squash – pumpkins, butternuts and Uchiri Kuri (Japanese “onion squash”) – have all been harvested and are currently basking in the slanting rays of autumn sun in my greenhouse before going into careful storage. This recipe uses Uchiri Kuri, but you can substitute pumpkin, butternut, or indeed any other winter squash. It’s a rich, warming dish that would be perfect for Bonfire Night, full of deep flavours and comforting heat. It’s great as it is, but the addition of guacamole (and, for so inclined non-vegans, soured cream and grated cheese) helps lift it to another level. 1. Pre heat the oven to 175˚C (350˚F, gas mark 3). 2. In a large casserole dish heat the olive oil over a medium heat until hot. Add the chopped onion and cook, stirring occasionally, for 5 minutes or until the onion has become soft and translucent. Add the squash, carrot, celery, chilli and garlic and stir thoroughly. Cook for a further 2 minutes, stirring occasionally. 3. Now add the chopped peppers, salt, smoked paprika, cumin and oregano. Stir to combine and cook for a further minute before adding the chopped tomatoes and vegetable stock. Stir and bring to a simmer. 4. Place a lid on the casserole dish and place it carefully in the preheated oven to cook for one hour. After an hour, remove from the oven, add the chocolate and stir it in thoroughly. The add the kidney beans, black beans and chickpeas and stir to combine. Replace the lid and put the chilli in the oven for a further 15 minutes. 5. While the chilli is in the oven you can make the guacamole. Simply add the avocado, tomato, red onion, lime, tabasco sauce and chopped coriander to a bowl and mix throughly to combine. 6. To serve, ladle the chilli into bowls and top with a generous tablespoonful of the guacamole. Non-vegans might also wish to top it off with a tablespoon of soured cream and some grated cheddar.